Sediment control barriers are BMPs (best management practices) that separate sediment from sheet flow runoff. They reduce water runoff velocities, preventing the transportation of sediments. They also pond sediment-laden runoff long enough for the soil particles to settle. 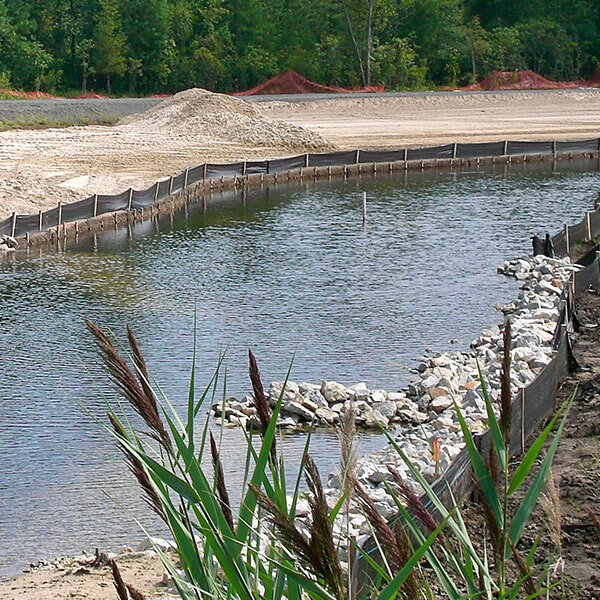 Since sediment control barriers are intended for areas experiencing sheet flow, they must be installed in areas that can pond water and accumulate sediment. They must also be accessible for clean out. 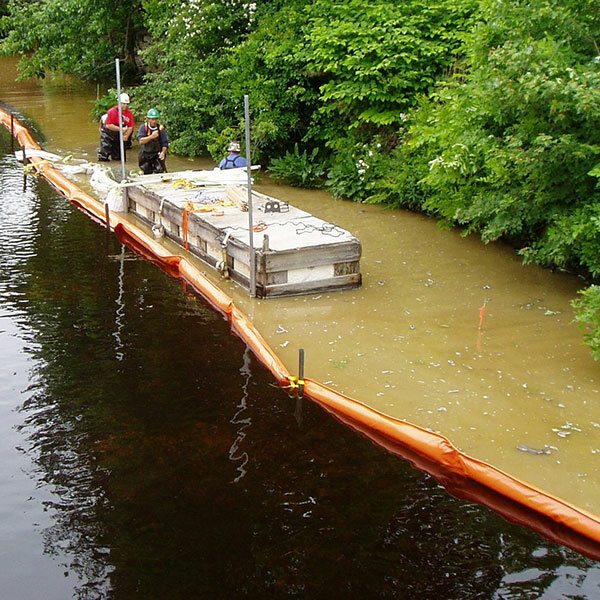 Sediment barriers are the most common type of practices in use on construction sites. Phase II of the National Pollutant Discharge Elimination System (NPDES) requires construction sites of one acre or more to implement BMPs to control erosion and limit the amount of sediment produced during construction activities. 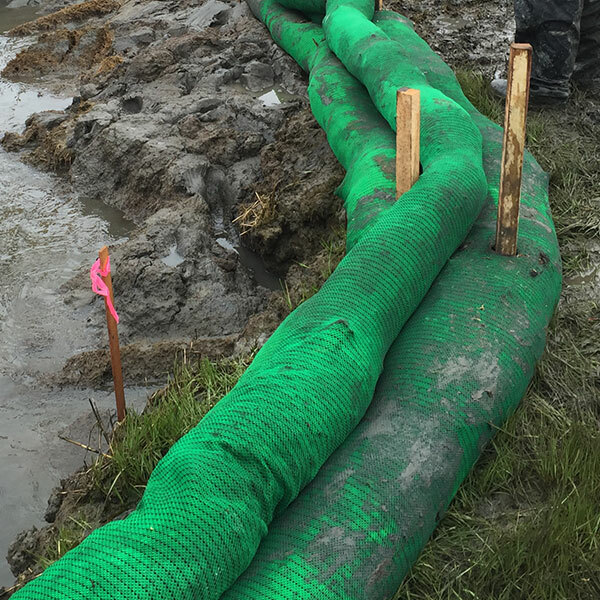 We offer a wide selection of BMP products such as erosion control blankets, turbidity barriers and silt fences to comply with these regulations. In selecting a BMP product, consider site conditions and type of control needed. Selecting the right sediment control products is essential to the success of a project. Please call us at 609-971-8810 so we can help you select the right products for your project. 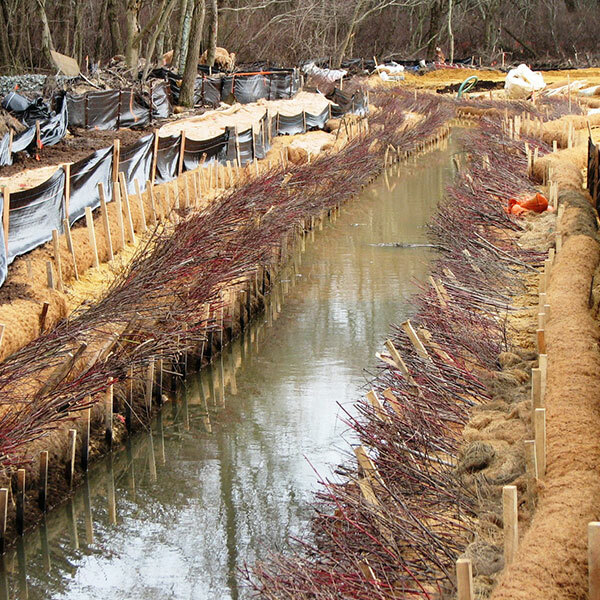 A correctly installed silt fence is effective and economical for sediment control. 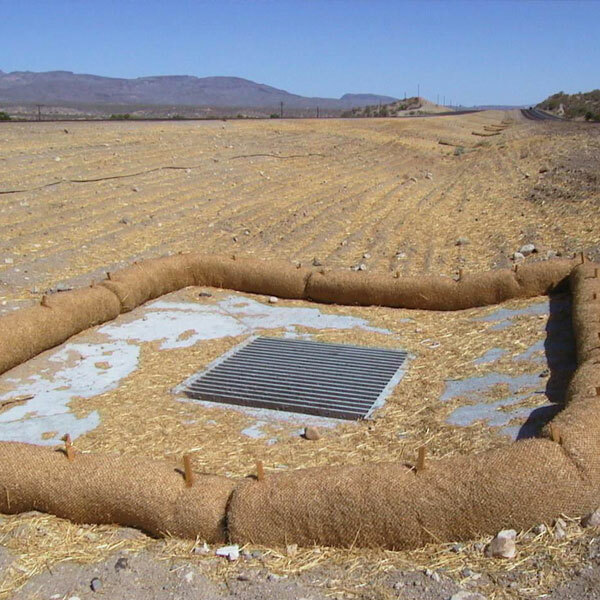 Silt fence is manufactured from geotextile filter fabric that allows water to pass through while trapping soil particles long enough for them to settle. We offer a variety of silt fences to suit state and local contract specifications. Please call us at 609-971-8810. We welcome the opportunity to provide quick turnaround at competitive pricing. Coir logs control erosion (such as along streambanks) to dissipate wave energy and flow velocity. The coir fibers absorb water while retaining sediments that break down. This creates an excellent growing medium for vegetation establishment. They last from 2-5 years depending upon density and environmental conditions. This also gives plants a chance to establish strong root systems. Coir logs also trap sediments and filter water on slopes and in channels. Coir logs are available in 12″, 16” and 20” diameters and are 10’ or 20’ long. Density ranges from 5 lbs./cu.ft., 7 lbs./cu.ft. or 9 lbs./cu.ft. Since the success of a project depends upon selection of the appropriate material, consider flow velocity, wave height, stream energy, and soil type. Sediment logs and wattles consist of natural straw or wood excelsior fibers. They are contained in a polypropylene or all-natural jute netting material. Their porosity allows water to pass through, rather than under, to filter out sediments. As the water passes through, the velocity reduces naturally while sediment collects on the upstream side. Sediment logs are also extremely flexible and contour to the terrain to maintain contact with the subgrade. 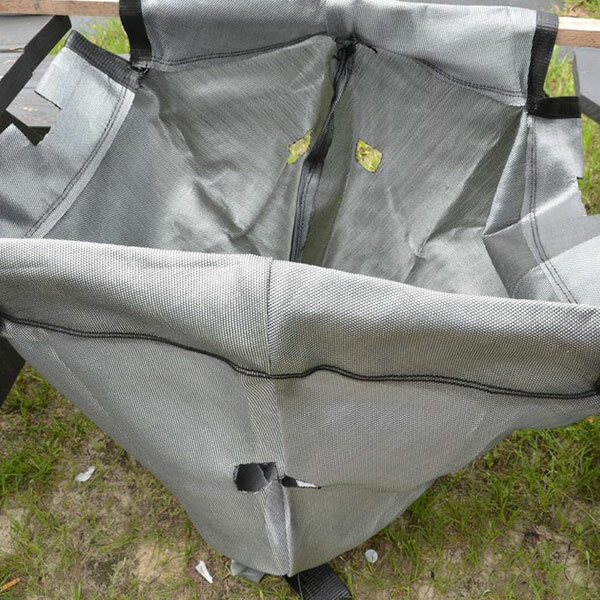 In addition, they offer six other benefits: lightweight, no trenching, no weed seeds, no disposal hassles, are reusable, and hold their shape. Placing them on bare soils, steep slopes, or around the job site perimeter effectively contains sediments. Sediment logs and wattles are available in 6”, 9”, 12” and 20” diameters, with lengths of 10’ or 20’. Inlet filters reduce the amount of silt and debris that may enter a stormwater inlet during construction. Placing these sacks inside the storm drain collects sand, debris and other particles as they enter the opening. Inlet filters typically work in conjunction with other Best Management Practices (BMP) to reduce the impact of sedimentation. *Additional Sizes available. Please contact our sales office at 609-971-8810 for more information. Turbidity barriers, also known as silt curtains, are Best Management Practices (BMP) that confine sediments in work zones near shorelines or in open waters. We offer a complete line of DOT style turbidity barriers for both short and long term applications. We can also design custom staked or floating turbidity barriers to your project specifications. Please see our turbidity barrier/silt curtain section for further information or contact our sales office at 609-971-8810 . Compost filter socks are tubular knitted socks that are pre-filled with organic composts and shavings. They are useful for a wide variety of sediment control applications such as perimeter control, slope interruption, diversion berms, inlet protection, or as an alternative to silt fence. Compost filter socks allow for maximum water filtration while controlling sediment loss and protecting against pollutants from stormwater runoff. IWT Cargo-Guard has teamed up with leading industry manufacturers including, but not limited to, Filtrexx and Diamond Sock to bring you the most cost-effective options for your job site. Please contact our sales office at 609-971-8810 for more information.